Join us! 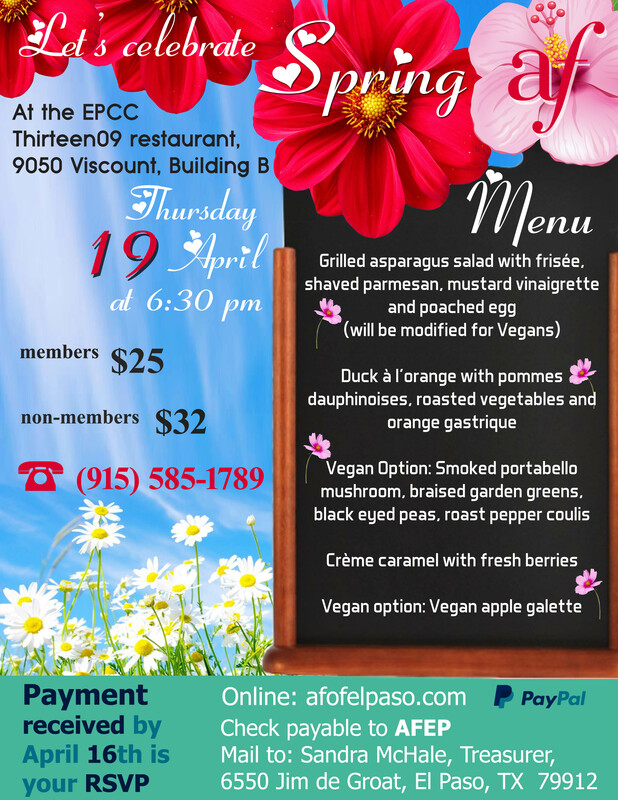 Let’s celebrate Spring in a lovely evening with great food and great people. Paid reservations by April 16 are a must. If you desire the Vegan menu, please make sure you choose the Vegan option when paying on PayPal, or indicate it on your check.